The introductory price of $38.99 is no longer available. If your name was on the pre-order list prior to March 1st, you will still be able to purchase the ball for $38.99 until April 15th. The price will appear in your shopping cart. Now THIS is how you ball! The revolutionary, game-changing Starbury Globe Basketball is now available. Get yours today! The Greatest Basketball of all-time!!! I just received my Globe basketball today & absolutely love it!!! The craftsmanship is simply amazing! My 5 year old daughter loves it too & took it away from me immediately when she saw it! We’re both amazed by the glow feature when you turn on the flash and take photos/videos of the basketball. 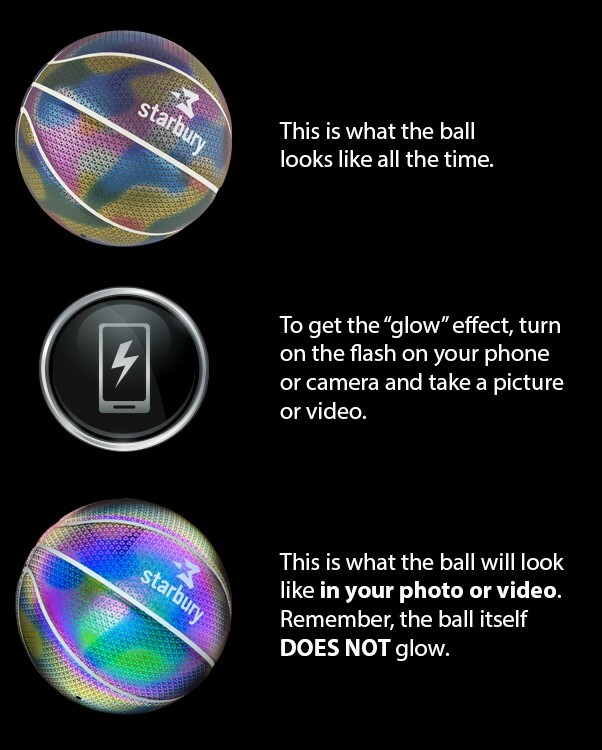 Starbury...you have done it again by creating another game changer! I bought this basketball ball for my 6 year-old son. He adores this ball. He loves the design and all the colors. He never wants to come indside when he is playing with it. This ball is a hit with the entire neighborhood, and is good for all ages. Love the idea, very creative. Props to stephon! Looks great!! IT'S LIT !!! The basketball is a bit of a novelty, as the glow is only visible in pictures when flash is taken. Other than that, it’s a normal decorative basketball; I mean, it’s functional, but it’s fairly smooth and can be a little slippery. This may change with more use though.